I’m going to be sharing tips and tricks for getting started with fitness or trying something new ~ fitness gadgets ~ fitspiration ~ fit goals I’m working to ~ fitness apps ~ programs I love ~ AND how to have a FIT MIND….which is the key to results! Ha, take it from me, right?!? AND, I would LOVE to know what YOU wanna hear ~ what would help you? No, I’m by NO means an expert. BUT, I’m super passionate about it and I love to research and find answers AND I’ve tried a lot of different things because I LOVE variety when it comes to my workouts and I love to share what has worked and what hasn’t!! I represent this remark lol. So, YAY, I’m really excited about this one, too!! A goal without a plan…. 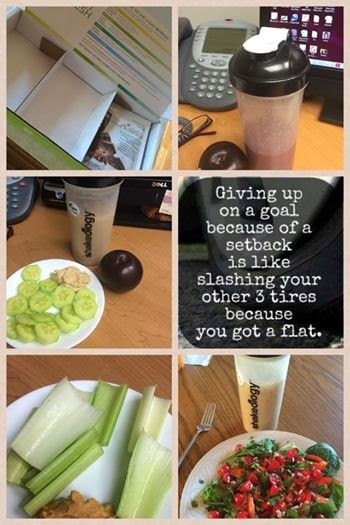 If you’ve followed me for a while, you know I love Chalene Johnson’s 30-Day Push. I’m still working hard to become more organized and feel less stressed, but I can tell you without this program I would still be lost on how to follow through with goal setting and getting my daily task list accomplished. I love having a list of goals for the year, all based upon a “Push Goal.” A Push Goal is the goal that is most important to you and one that your other goals should center around to help you achieve. So, yes, the 30-Day Push has taught me to dream big and develop a plan on how to get there. But, it’s also taught me how to plan my every day life. After all, success is the sum of small efforts repeated day in and day out. Every morning I make a to-do list of 10 things. I do this at the same time every day on weekdays…and in all honesty the time varies on the weekends. These 10 things are things I need to get done and not more than I can do in a day. I don’t want to set myself up for failure. And, checking them off my list as I go is very satisfying. I don’t go in order ~ I just jot them down as I think of them and check them off as I’m able to complete them. Here’s my to-do list for today! 1. Personal development ~ The Best Yes & 30-Day Push. 2. 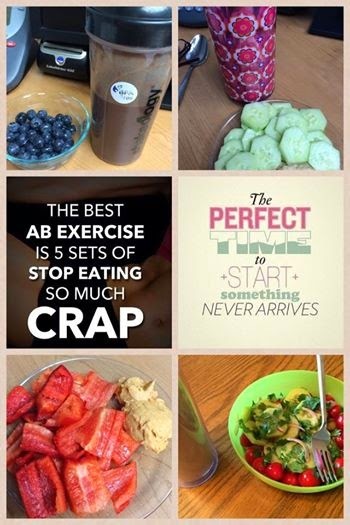 Get posts up in my challenge group, clean eating group, team page, graduate group and Biggest Loser results. 3. Get chicken and sweet potatoes in the crockpot for supper. 4. Email and messages followup. 5. Insanity Max:30 Pulse workout. 6. Half hour play time with Brooklyn. 7. Unload dishwasher and clean out at least one cupboard. 10. Rank in the Bank activity. I’m going to be starting a 30-Day Push group again! You can email me at fitstrongpink@gmail.com if you’re interested! In the meantime, I challenge you to try making a 10-item to-do list every day this week. Try it, see if you feel more organized and accomplished AND even better come back and share it here! I would love to hear if it helps you! I may get hate mail over this comment but I’m actually looking forward to fall and everything that comes with it. Ok, so TODAY I’m not 100% excited about the skinny jeans. And, obviously they don’t necessarily scream fall or are everyone else’s idea of something to look forward to. BUT, as summer comes to an end this year and I’m on a bikini mission, I also decided I wanted to first be on a skinny jeans mission. I actually have several pairs of skinny jeans. And, I would really LOVE to rock them with a plain T or a short sweater. So, I’m kicking off a 30-day Skinny Jeans challenge on September 15th. And, I’m really gonna have fun with this one because I am revamping how I run groups and will be awarding great prizes in each 30 day group. There will extra challenges within the challenge to keep people EXTRA motivated. AND, for this challenge in particular, I’m including bonus fall fashion ideas that include a lot of….you guessed it….SKINNY JEANS! I absolutely love running these groups and I can say without any hesitation that I get just as much out of it as anyone that joins with me as their coach. I’m literally humbled and inspired by the people I’m working with EVERY day. They push me. They make me laugh. They sometimes make my cry….the good cry. So, if you’re out there thinking that you wanna rock skinny jeans with me this fall and want some extra motivation and accountability, you can reply on this post, email me at fitstrongpink@gmail, or check out my TeamBeachbody site here. Can’t wait to hear from YOU! So, today was a really good day! I always like a good challenge, especially when I’m done…lol. I honestly really liked the Refresh. I felt pretty rough the first day. By the end of the day that day, my head hurt so bad that it was actually making me nauseous. 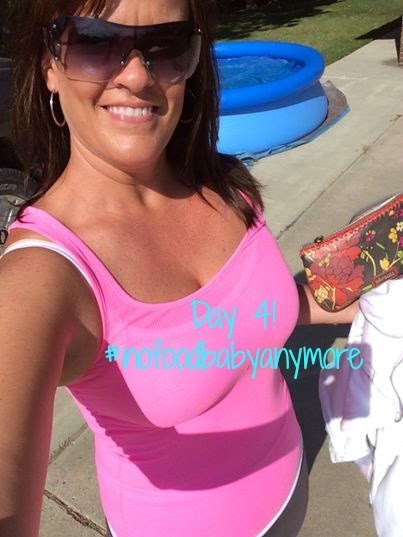 I’m not gonna lie that I almost got to the point where I was telling myself it wasn’t worth it, but then I realized that if I felt the way I did, my body definitely needed a detox! And, each day I felt better and better so I knew it wasn’t anything in the Refresh itself that made me feel that way. I want to post these pics about as bad as I want a root canal, but I think they really show the potential of this quick reset. (I didn’t wear the same thing for three days btw…just for the pics…maybe that went without saying…lol.) I’ve talked before about how bad I can bloat and my before pic pretty much looks like I have a food baby. But, the good news for me is that I lost 2-1/2″ in my abs in these three days and 8″ overall, plus 4.6 lbs. So, yeah, I’m excited about my results…no doubt…but I’m way more excited about how I feel! And, even if most of it is water weight, I feel light, I feel way more energetic, and I feel like I’m back on track with my nutrition thanks to it! So, now I just have to say that I LOVE the image at the top. I’ve been losing ground lately in my health & fitness journey. And, there are several things I’ve been focusing on to turn my setback into a comeback….and the Refresh was just one of them….but that’s just it….I will have setbacks. But, they won’t result in me giving up on my goals. Not anymore. Day 3 of the Refresh is almost in the books! I’ve loved this quote in my collage since the first time I saw it. I was off track. No lie. But the thing I like best about the “new me” is that my setbacks lasted a helluva lot longer before. There is always time to turn things around….always. So…..I will say that I’m anxious to be done but that I will definitely be pulling this little gem of program out of the hat every few months or before big events….like already thinking this will come in handy just before Cancun! But, yes, right now I’m anxious for almond milk in my Shakeo, and things like greek yogurt and eggs and a spaghetti squash boat with ground turkey and tomatoes and mushrooms and onions and just a dusting of 2% cheese….ok, yes, I’m dreaming of food a little tonight as I type. I may not have had food on the brain had my husband not had pizza in front of me tonight. And, I probably could’ve picked a better night to be perusing Pinterest for recipe ideas. Either way, I think I can safely say that I made it thru and it went really well! Check back tomorrow evening for final results! 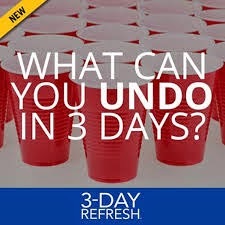 I feel so much better today on the 3-Day Refresh! It still was by no means “easy” today….and I’m still awake so bad things could still happen…lol…but my headache was much better and I wasn’t wanting to stuff my face with twinkies all day. The Vanilla Fresh shakes are really filling and I really like the taste ~ And, my bloating is way better today. I’m anxious for Thursday morning! I have lost a little over 3 so far, and I’ve been fluctuating between 5 & 7 lbs. more than my pre-Summit weight ~ so, I’m determined to get it off and start moving back in the right direction! I honestly don’t live and die by the scale anymore….but I DO weigh in once a week and am always mindful of that number…especially when it starts creeping up! And, I think my body is still adjusting to less working out. On that note, I am SUPER glad I’m doing PiYO right now because I’ve still been able to work out just fine during this! Sweat in the morning! Thanks for checking in on me! Recap of Day 3 will be up tomorrow night and final review Thursday night!….and maybe even a YouTube video.